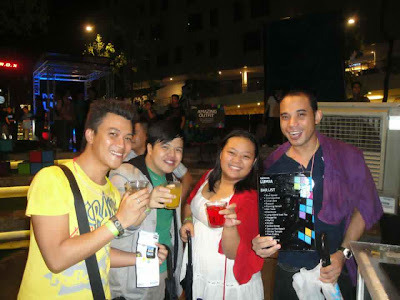 Nokia Lumianation: Partying the Nokia Lumia Way! Last May 18 at the Bonifacio High Street Central Amphitheater, an awesome party event happened as the Grand launch of the four Nokia devices under the Lumia line happened, the event dubbed "LUMIANATION: Club Experience in a New Light". 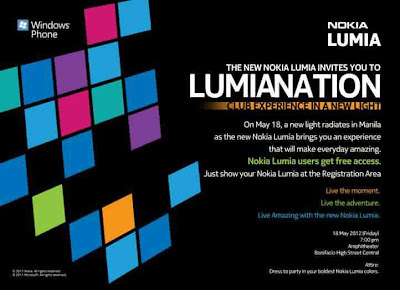 And of course they did it the Nokia Lumia way! 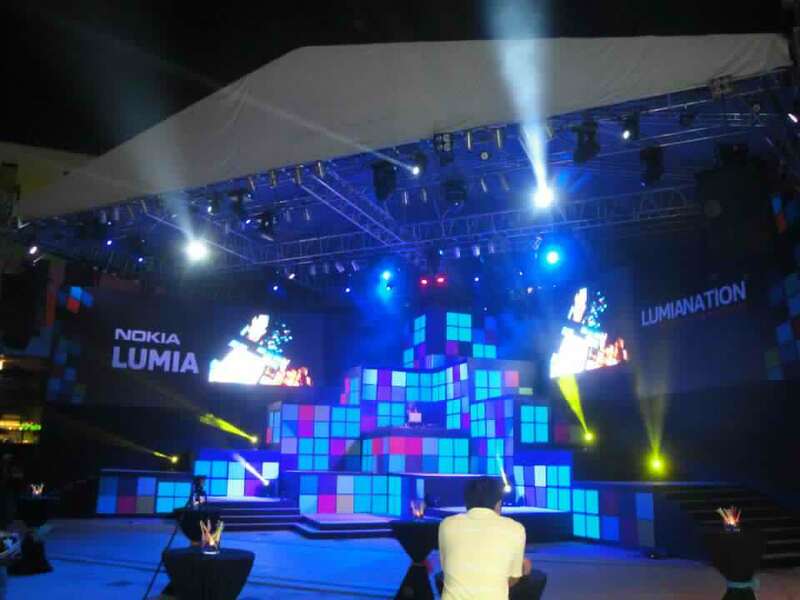 The event was attended by personalities, media, bloggers and Nokia Lumia users all ready to party the night away. 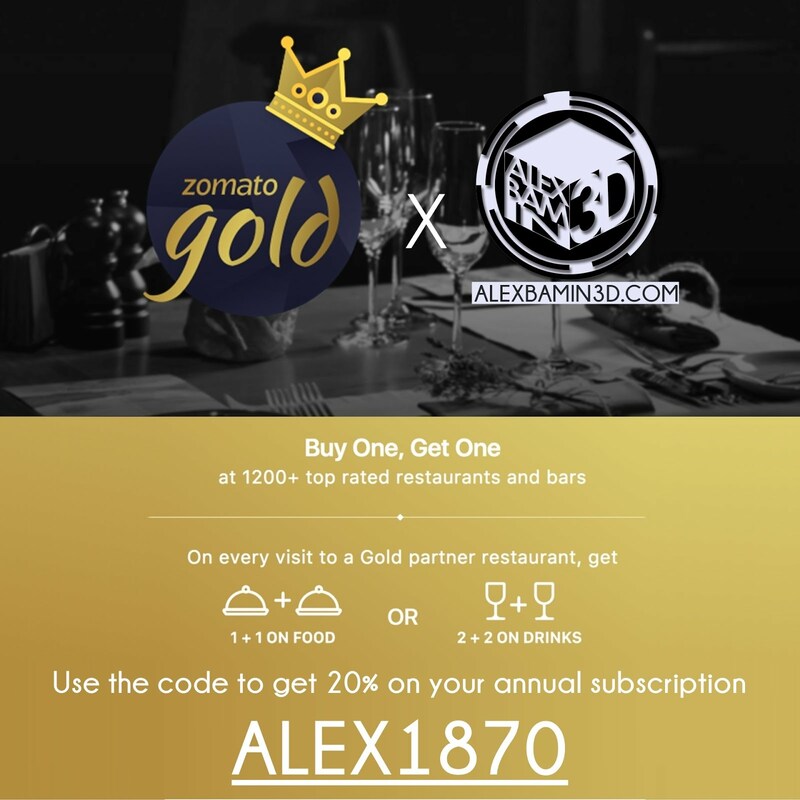 Free flowing food and drinks was served together with awesome music by DJ's in one giant Lumia-nized stage set-up which wowed the guests of the event. Actually, the whole event area is decked out in colorful Lumia colors and accents. 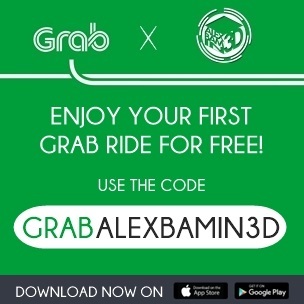 Smart and Globe booths was also present in the event where they gave away some cool souvenirs for the attendees, another booth is the Smoked by Lumia Booth where attendees can challenge the Nokia Lumia for prizes. I heard only two beat the Lumia (and its because of human error and not the phone.) Here's my friend Maya who got her phone smoked by Lumia. Heavy rain actually poured earlier that night, but that made the event more special as everyone became more hyped to the wet & wild party! It actually made the event more fun for me! 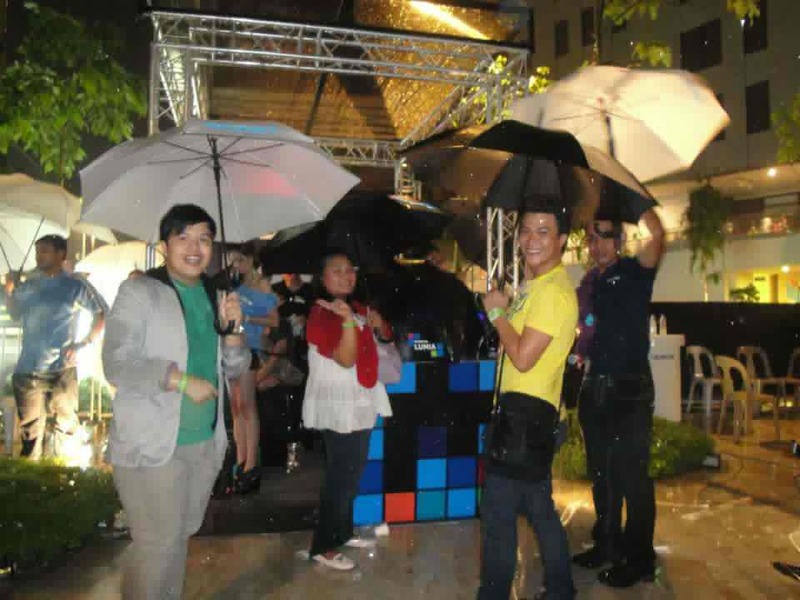 Here we are on our Nokia Lumia umbrellas. and here is a view of the venue after the rain, more people came up after the rain. 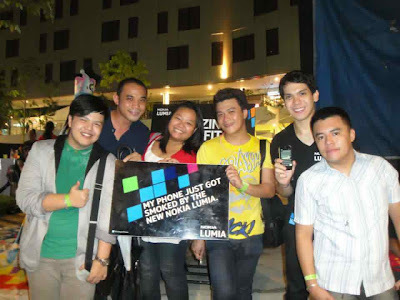 Now about the four Nokia Lumia phones, the Nokia Lumia 900 will be released in June announced with the tag of P27,990 it comes with an awesome Nokia Purity Headset by Monster. The Lumia 610 is now available at Nokia Stores for only P10,980, it's the cheapest Lumia among the bunch. While the Lumia 800 on Globe on their Unli Surf Combo Plan 1799 available at Nokia Stores for P23,500, the last one is the Lumia 710 is on Unlimited Data Plan 1000 from Smart. 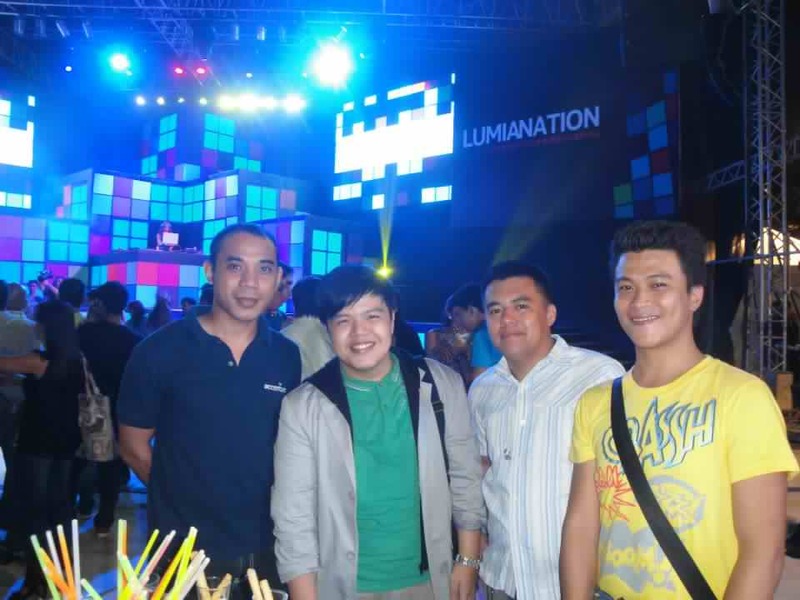 Here are more random photos of the awesome Lumianation event last Friday night. Just as we arrived in the venue, photo op. 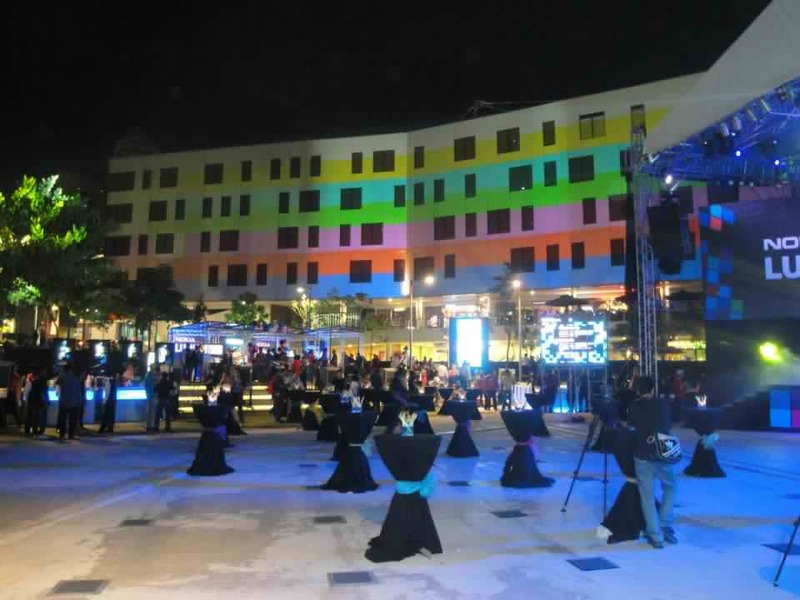 The venue before the event. This Lucky Photoguy won a Lumia in the raffle! Lucky guy!  Don't forget to Like ALEXBAMIN3D on Facebook for Updates!